● Check out the Sale section to save as much as 75% on select items. Coupons and other promotions in addition to this Sale section don’t appear to be common. ● Sign up for the Supreme Perks Program to receive exclusive discounts and earn points that can be redeemed for rewards on future purchases. ● The company will periodically offer incentives for signing up for the email newsletter, such as 20% off your next order. Check to see if there is an opportunity to benefit from signing up. ● The site periodically offers free shipping deals applicable towards minimum purchase values (example: $75). Otherwise, standard shipping starts at a $5 flat rate. See here for details. 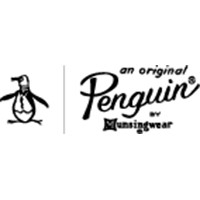 Original Penguin offers men's and boy's apparel. Visitors can sign up for email sale alerts and get 20% off their first order. The pop up for sign up is available on the home page. There is a 10% student discount available. The fashion blog can be reached by clicking on the fashion blog tab at the top of the home page. There is a rewards program that guests can register for by clicking on the link at the bottom of the home page. The sale tab at the top of the home page navigates to all the on sale items. For most up to date offers check out Original Penguin on Facebook and Twitter or contact Original Penguin Support for any questions.